Early puberty and poverty linked in research from an Australian study. Early puberty linked to poverty in Melbourne-based children's survey. Children who grow up poor are much more likely to hit puberty earlier than more well-off kids, Melbourne-based research has suggested. The research, published in the American Journal of Pediatrics, also suggests children are hitting puberty about five years earlier than they were 150 years ago. Researchers from the Murdoch Children’s Research Institute monitored 3,700 children from birth. They found that boys from poor backgrounds were about four times more likely to hit puberty by ages 10 or 11, and girls from those backgrounds were twice as likely, than children in higher socio-economic groups. Their report said the link between underprivileged children and early puberty could be attributed to a range of environmental factors. One of the report’s senior authors, George Patten, said the correlation could be a result of children being programmed to start the reproductive process earlier, to ensure their genes are passed on to the next generation. “We know that the switch to puberty is exquisitely sensitive to things happening in a child’s environment. There may be similar cues around the social status that a child has,” Dr Patten said. “We looked at a whole range of other things that may be linked to an association of this kind — we know that childhood obesity might be more common in lower socio-economic areas, but we found that wasn’t a factor. “We also looked at low birth weight or parental age of puberty, but none of these things were linked, so we don’t know why this is. The report also said that the average age of puberty in Australia was falling across the board, and early growth had a range of physical and mental health risks. 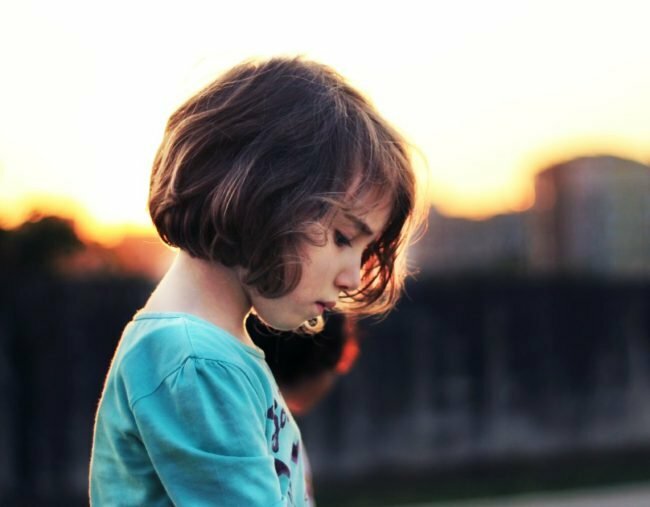 “Early maturation has links in girls with emotional, behavioural and social problems during adolescence including depressive disorders, substance disorders, eating disorders and precocious sexuality,” Dr Patten said. Dr Patten said the recent trend towards early puberty in many countries meant a clearer understanding of the factors involved was needed. Parents involved in the survey were asked to report on signs of their children’s puberty at ages 8–9 and 10–11. They were asked to report on growth spurts, pubic hair and skin changes, plus breast growth and menstruation in girls, and voice deepening and facial hair in boys.